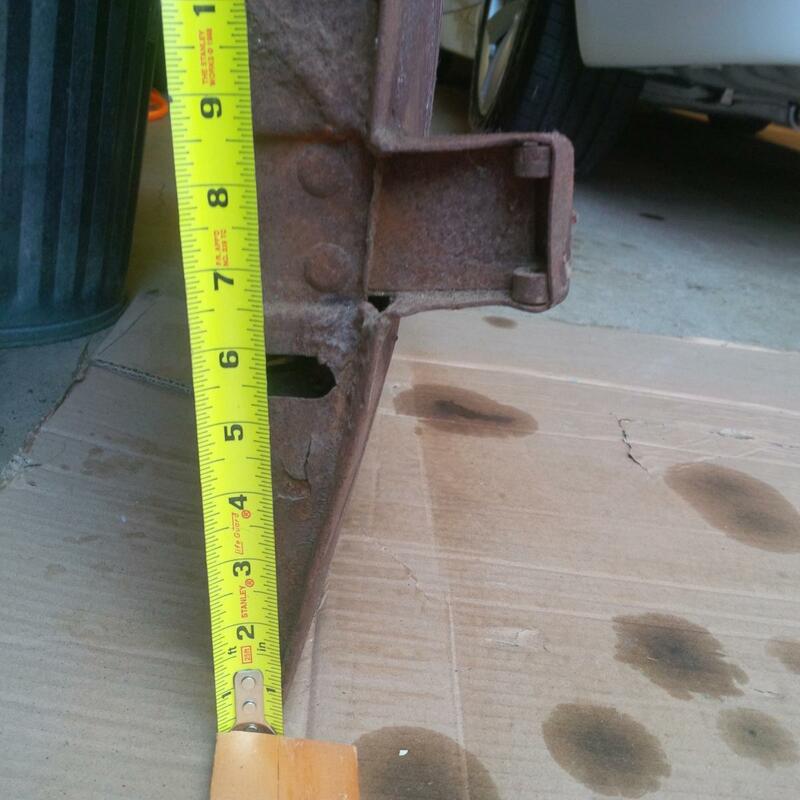 I have a 1935 Dodge KC truck I am working to restore, and I came across something that I can't figure out. I have the build sheet from Dodge, so I know the frame and the cab are the factory original parts. All the research I have done shows there are 2 style KC's in 1935. 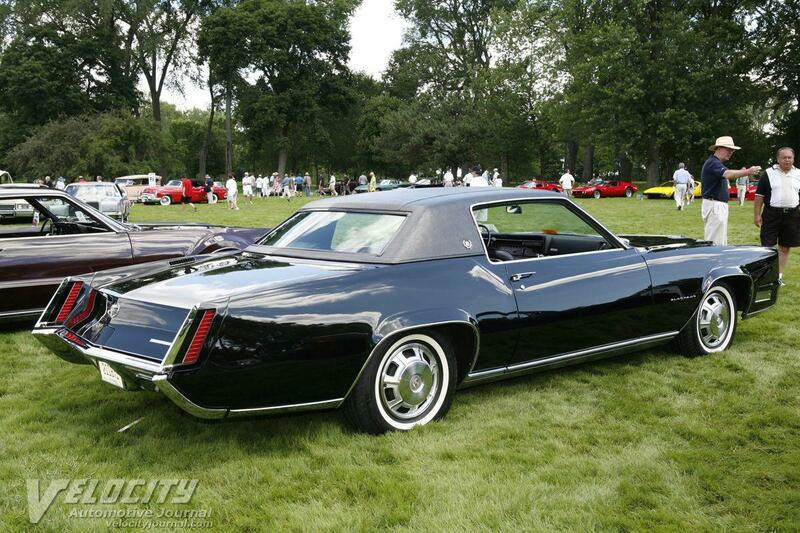 The early style used the 34 cab and had suicide doors. 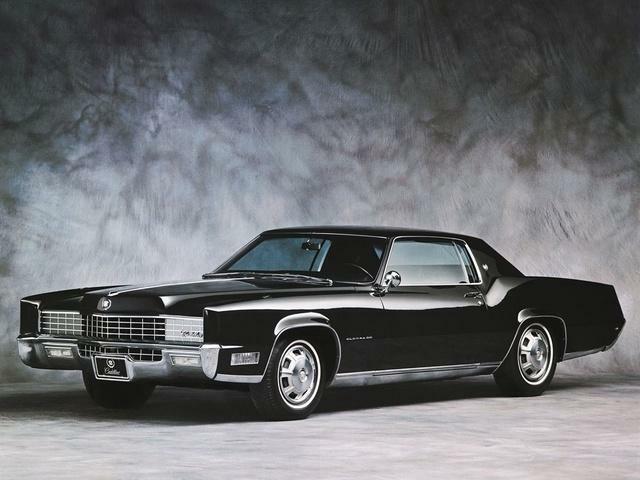 The later style had a new cab and had "normal" doors. I just noticed that my cab is most defiantly a 34 style cab, the windshield is not curved around the bottom edge and it does not have an all metal roof on the cab. But I do not have suicide doors. 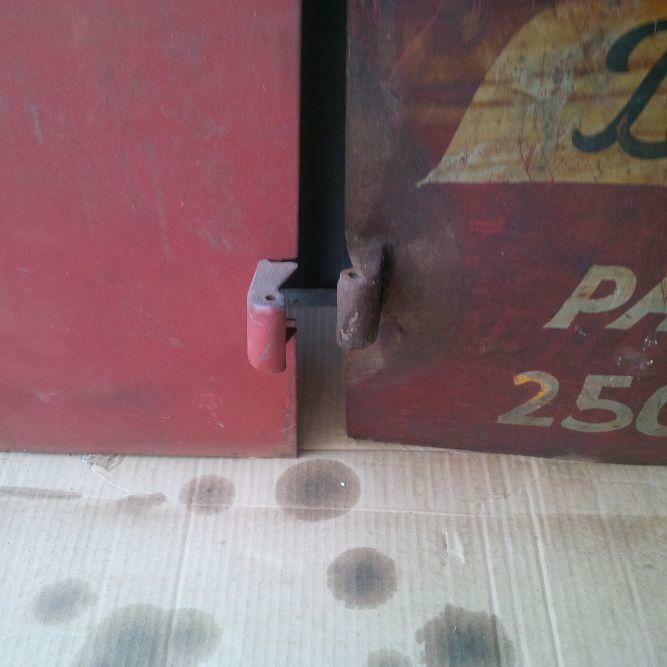 Even the placement of my door hinges are not the same as any other 35 KC I have seen online. So my question is what do I have? Did someone mess with my doors? Did Dodge make a few 34 style cab trucks without suicide doors? Any thoughts or suggestions for a direction to go would be greatly appreciated. Does the parts book show a roof insert for 1935 KC? Couple of quick questions before I hit my parts books: Do you have the '34 style dash with the squared off instrument cluster in the center? Or is it of the 3 round gauge type? What does your firewall data plate say, if it is there? 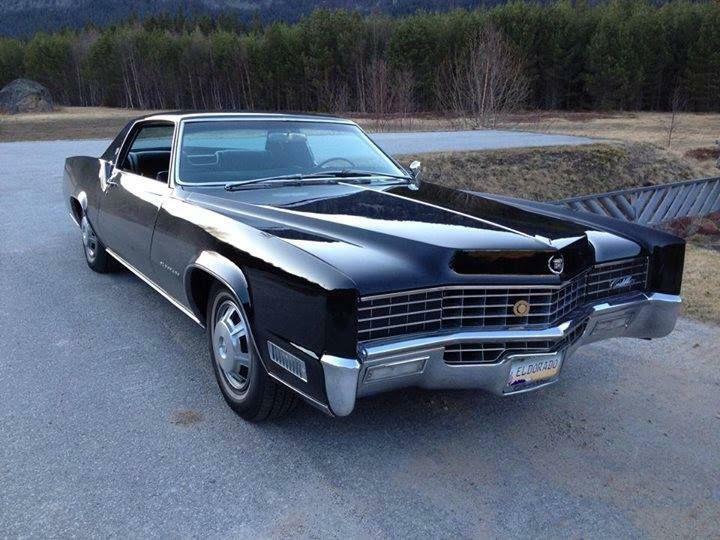 I don't have a parts book, but I have established that the early series KC's did have the roof insert. My truck has the 3 round gauges in it. I have 1 firewall plate B-1-2-LR14225, which is the number on the build sheet. OK, I have a fairly extensive collection of 34-35 KC and KCL materials that I have put together over the years to assist in the restoration of my late 34 KCL panel. 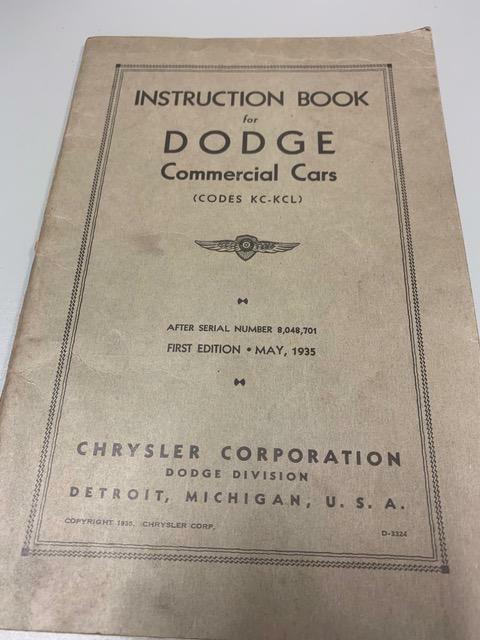 These include the "Dodge Parts List 1934 and 1935 Model Series, Trucks Built from January 1934 to June 1935", issued June 15, 1935 (Publication D-3416), as well as the "Dodge Trucks Parts List 1935 Model Series, Trucks Built After June 1935", issued September 1, 1935 (Publication D-3553). These list serial numbers starting January 1934 at 8023001, with those built after June 1935 beginning at 8048701, this latter series including your express. The instrument panel change to the 3 round gauges came at 8045676. 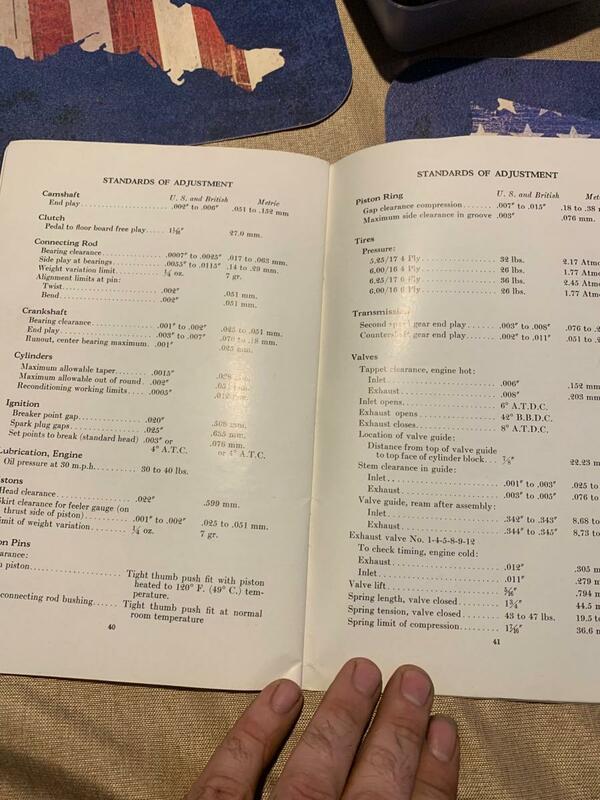 The earlier parts book (up to June 1935) lists a "Roof assembly--complete" for the KC cab, Part #546588, but nothing for any other type of top or any reference to anything but the early type, 'suicide doors'. The June 1935 and later book shows a completely new cab number beginning at 8057966, with the new, front-hinged doors and nothing regarding a roof insert of any type. Looks like there is a gap here, which is where your express falls. I think I have just about every piece of advertising that covers the trucks and commercial cars in this 34-35 time frame and I have never seen a truck like yours, i.e., old style cab with roof insert but fitted with the new, front-hinged doors. The 3/1/35 Ross Roy comparative book on Dodge trucks and commercial cars shows the old series truck and notes its 'French-type top insert'. However, I have a 7/35 folder with individual sheets on the various Dodge trucks, including the express, showing the new express with the front-hinged doors. (It is unclear from the document, but it may be an export document, although it is in English). 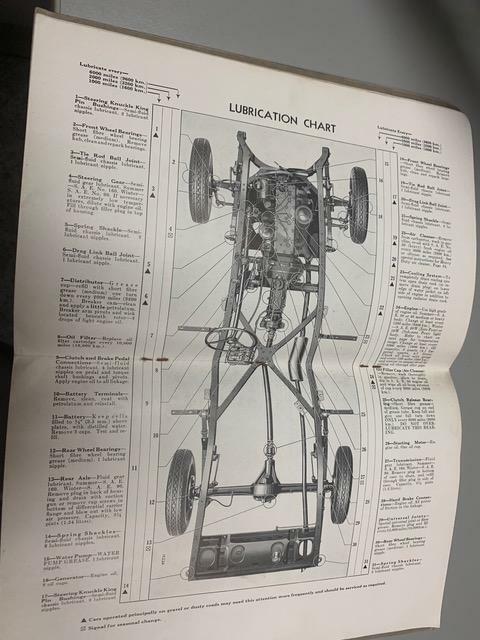 Same with a large, folding color brochure (Publication K-30 from 5/35) that shows the earlier doors on the commercial sedan, panel and various other vehicles--with the express being the only one with the new style cab and doors. Again, nothing, including the larger series trucks, with the old style cab and the new style doors. My best guesses are (1)some sort of factory prototype or transitional model, (2)some sort of export model--although my parts books do call out export parts, or (3)somebody's handiwork, post-manufacturing, although I think that would be obvious upon examination of the A and B pillars of the truck at the door jambs. this is the rear lower driver side of the cab opening. you can see the area that is made and cut out for the suicide hinge. this is the top driver side hinge from the outside, you can see what looks like someone used a lot of drill holes to help cut the opening in the cab for the hinge to go into. 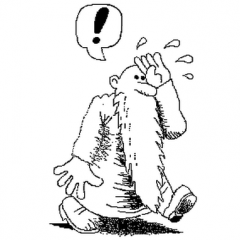 it is really strange for sure, but it is interesting trying to figure out what is going on. My truck does have the 3 round gauges, so at least it is following some of the standards of the book. Interesting. I would pull one of the door panels to look at the inside of the belt line at the front of the door where the door handle hole is on the normal suicide doors. I doubt that anyone would go to the trouble to metal finish the inside of the belt line even if they filled the handle hole. Attached is a photo of the upper rear corner of a passenger side suicide door actually off of an express (rounded corner, unlike the passenger doors, commercial sedan and commercial panel doors, which are squared off. 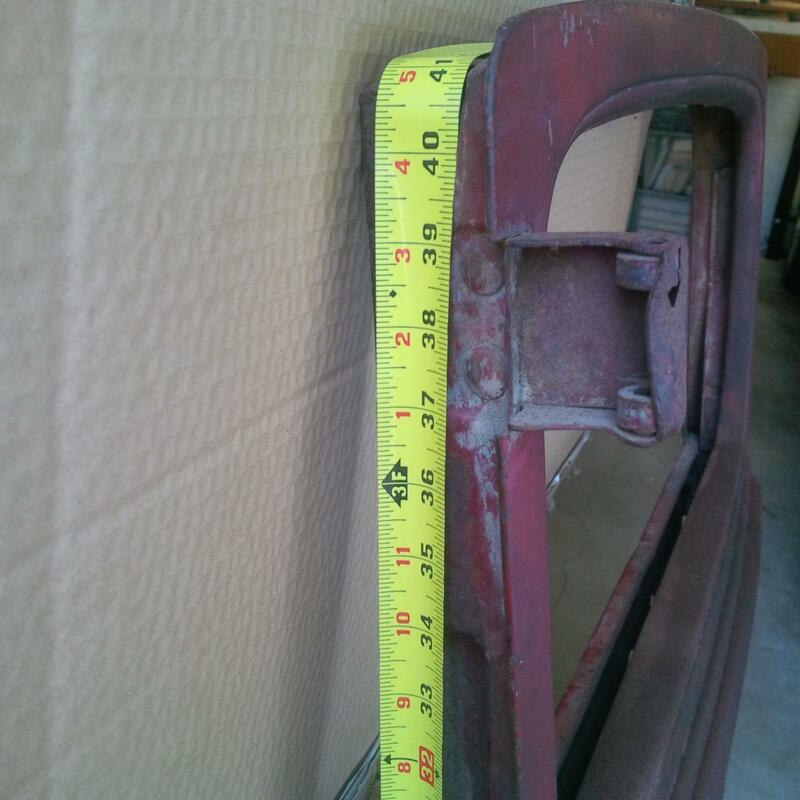 Gives you some idea of where the upper hinge would be on a standard suicide door. 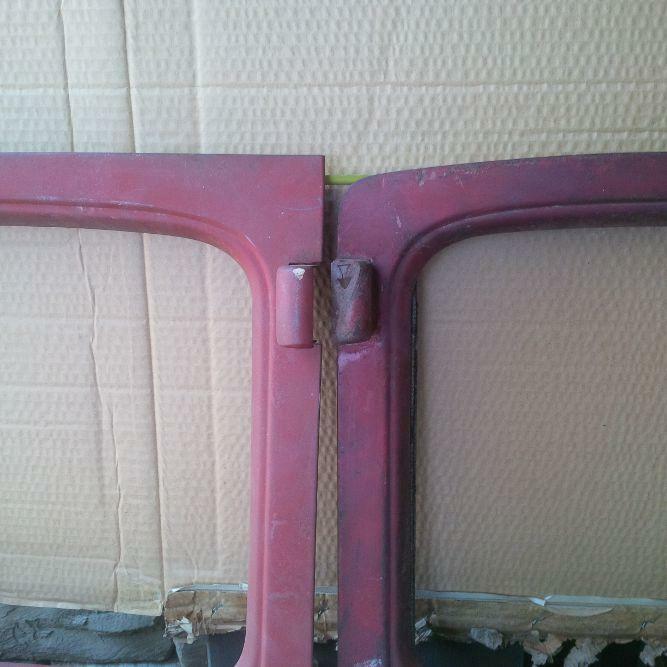 Out of curiosity Scott, do you have a pic of what the hinge looks like attached to the cab for a suicide door? OK, I think we have proof that this is an 'aftermarket' change. Your photo of the top, driver side hinge (where you can see the screw and bracket from the rear view mirror) shows that the 'shroud' around the hinge is on backwards. That shroud should be on the front side of the hinge, with the 'open' side of the hinge to the rear. See my express door photo on a prior post and the black 34 PE convertible photographed below--different body style but the hinge shroud configuration is the same, clearest picture I could pull out of my files on short notice. I am sure I have a photo or two, will pull that out in a day or two (pretty busy for the next couple of days) as well as a full picture of that express door I have, suicide. 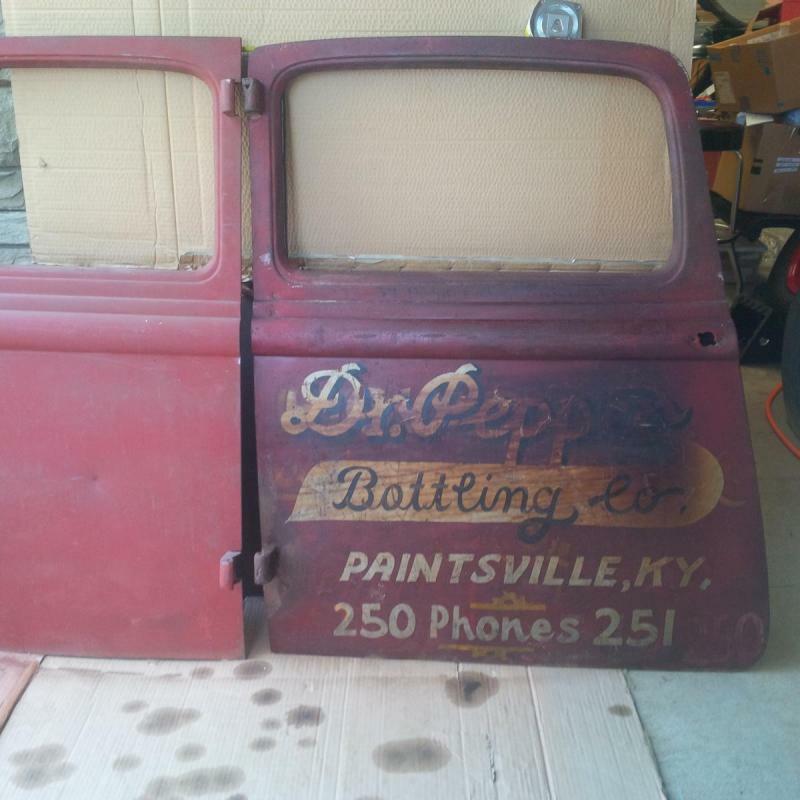 It could be an ‘aftermarket change’ as you suggested, but that still does not explain how my vin/ serial number is suppose to be for a late series cab but all the evidence I have shows this is an early model cab from the factory. i am also going to measure the hinges, as mine dont look as long/ different in lengths as yours. I might have to remove a door to look at the hinges and see what the hidden part looks like. Given all the data we have, and the fact no one has seen this configuration before, I would say odds are high this was not a factory configuration. I guess we may not know more details until I get brave enough to take the cab and doors down to bare metal. It's very possible that this was a repair at one time. The fact that the serial number tag is fastened with rivets is an indication that it was removed from the cab, or a cab, at sometime. Factory used screws to fasten them or drive rivets. 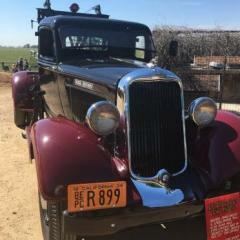 The truck may have suffered some cab damage at one time, maybe during the war, and it was rebuilt with available parts. Still a nice truck! I have just realised the number tag is held on with pop or blind rivets. That would mean the cab under it is not necessarily to one it originally came on? While the blind rivet was first patented in 1916, the system wasn't developed for Aluminium and integral mandrel until the '30s, in the aero industry. So it is extremely unlikely they were originally on a 1935 Dodge. Those headlights look strange. Too high up and seem to have shallow bodies in those pics. They seem to be sitting on rods or something. Apart from that, it’s a nice looking car. I have just been gifted a 35 Pickup from my Dad who has owned it for close on 40 years now with exactly the same issues that you have. 3 dial dash , suicide doors and roof insert. I still have the original two piece Ram radiator cap and it has the 35 style bumpers. It seems from what I have found that it was built in Canada. According to Bunn and Brownell's book Dodge pickups History and restoration guide pg27. 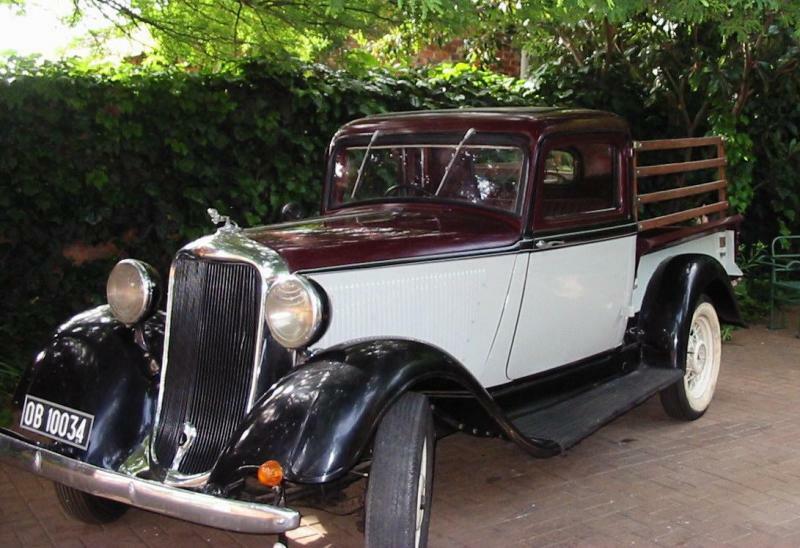 The changes took place late in the production year and this resulted in the 1935 series 2. 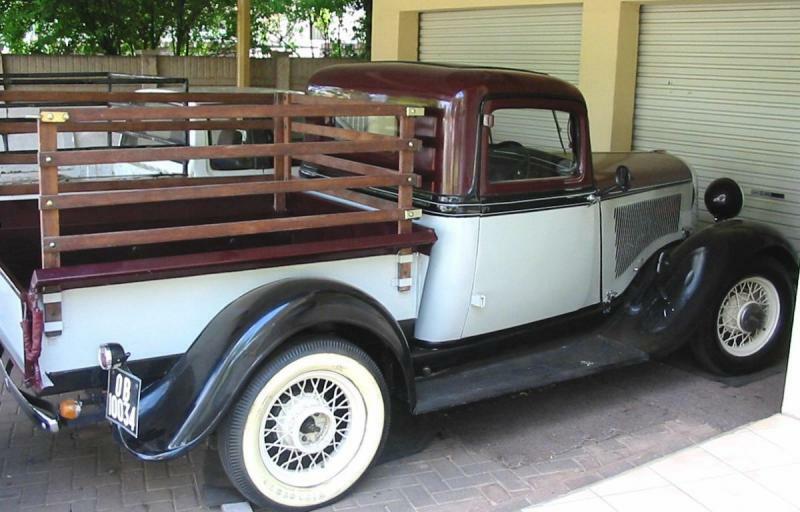 There are no other 1935 Dodge that I know of or heard of in SA. The original first registration has it as a 1934 model. The vehicle is in South Africa and has been it's whole life. These pics were taken in 1998 shortly after I had repainted it. I am away for the festive season till mid Jan 2019. I will then be able to send better photos. going to revive this post a bit. I found a cool book on eBay that just came in. its the "Factory Instruction Book" for the KC and KCL trucks. has lots of good information in it. but what is interesting to me is it says its from May 1935 for serial number 8048701 and later, yet mine is 8053020 and from March 1935. My wife really likes the green color of your truck. I assumed that the K. Green on your build card is for Kiltie Green which is a very very dark green. What color did you use ? Just saw this post. The windshield is a push and pull? Rivets are wrong. The bumper is from a 35 Dodge car with the line in the center. I would guess that the doors have been converted. I have a suicide door that has been converted to a regular hung door. Interesting truck for sure. Remove panels from the door and look inside. He almost bought this. Lost on the bid. The 1st picture. These cars are beautiful.